PLAN A – GET YOUR PHOTO TODAY! PLAN B – NOT FOR FREE! Let’s set the scene: Its 5:00 pm, Friday evening. The email just came in. The article you wrote for “ENTREPRENEUR MAGAZINE” has been accepted for publication, a prestigious coup for your company, and one you have worked hard to make happen. Congratulation! Your assistant has just shared the good news. There is only one request from the magazine: they require a headshot to accompany the article. They inform you that it needs to be a high resolution TIFF file and they need it immediately. The article will only be printed if you provide the photo. OH NO!!! You don’t have one? You have to scramble to get one? Where do you go? Who do you call? How much will it cost? What should you do? The moral of this story is – don’t let this happen to you. You don’t have to find yourself scrambling to get a professional headshot at the last minute. As a professional, no matter what your industry may be, you will need a professional headshot, long before a press publication requires it. Knowing this, get this done sooner rather than later. 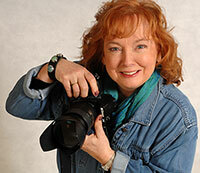 The good news is – there are professional photographers in almost every city. From the moment you begin seeking work to the day you start working, you should have a professionally photographed headshot as part of your portfolio. In fact, in this day and age, given that some people get to know you online before they meet you in person, and any publication worth it’s salt requires a photo with any publishable work, everyone who wants to be taken seriously in business, MUST have an up-to-date, professional photograph of themselves. No excuses. We are not talking about your Bar Mitzvah picture or a casual cell phone photo or a photo taken by your kid on a family trip. Oh no! As a working professional you need a photograph that tells people who you are inside and out, what your goals are for yourself and your company, and they need to know you are a consummate professional and that you and your company are capable of delivering the professional goods. Isn’t it time to plan on getting a great business headshot? Think of all the ways you can use a professional photo – website, brochures, Linkedin, business cards, articles, book jackets, press releases. It might just be the most important thing you can do for yourself and your business. Isn’t it worth doing right? Contact a professional photographer today.